Imagine, you and your dearest standing under a vine-covered alter in a daisy-filled meadow on a crisp spring day. Rose petals are scattered down the aisle and a crown of wildflowers sits atop your flowing hair. Your guests are not fidgeting in their tight fitting formal attire. Instead, they're smiling at you from the folding chairs that are scattered about in groups where loving friends sit together with family as they watch you take your vows. 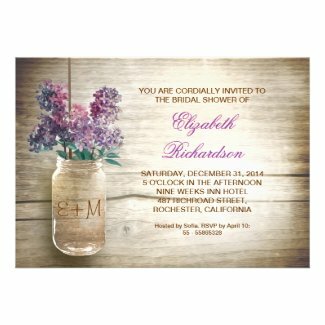 If this scenario is similar to what the bride is planning for her wedding then chances are good that she's having a country chic rustic wedding and she'd love any of the 10 bridal shower invitations I've featured here. 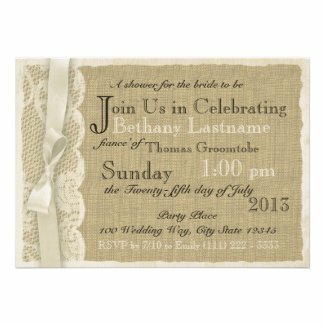 You'll find invite designs featuring burlap, lace, wildflowers, mason jars, faded wood, ribbons, bows, boots and more. Please note that all of the features are photographic. 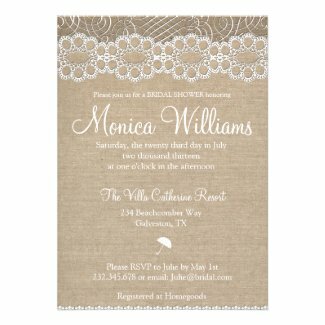 Invitations with real bling attached would cost much more but I think you'll agree that each has the look and feel of a perfect down home country rustic wedding and that's exactly what you're going for, no? 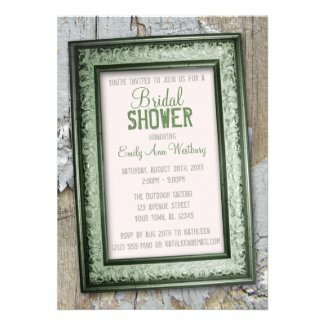 All of the gorgeous invites featured here were created by the card designers at Zazzle.com. 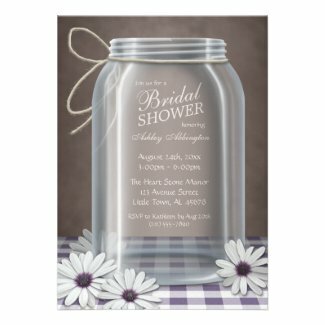 They are full color printed on the quality card stock of your choosing. Your choice of card stock can change the price but aside from that, you can customize and personalize these adorable babies to your heart's content at no extra cost. Great Quality. Amazing Prices. 100% Satisfaction Guarantee. Photos were found through a creative commons search. A huge thank you to the photographers who kindly provided the usage of these great pictures here. Click on each photo to see the original source. in the comments section here!